Japanese Emperor Akihito welcomed Panamanian President Juan Carlos Varela who is making a state visit to Japan at Tokyo Imperial Palace. 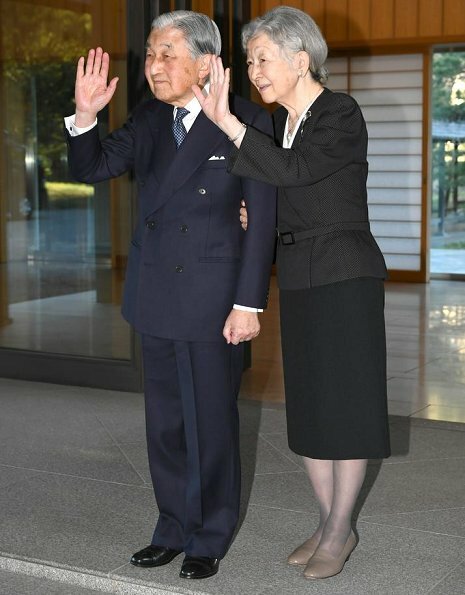 Japanese Emperor Akihito held a meeting with the President. 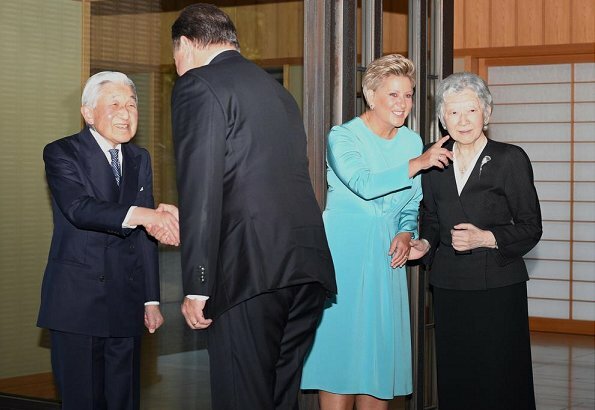 Empress Michiko and First Lady Lorena Castillo also attended the 30-minute meeting. At the meeting, Panamanian President said he was grateful from the bottom of his heart for the achievements Emperor Akihito has made for world peace and prosperity while on the throne. This was the emperor's last official meeting with a foreign head of state before his abdication on April 30. 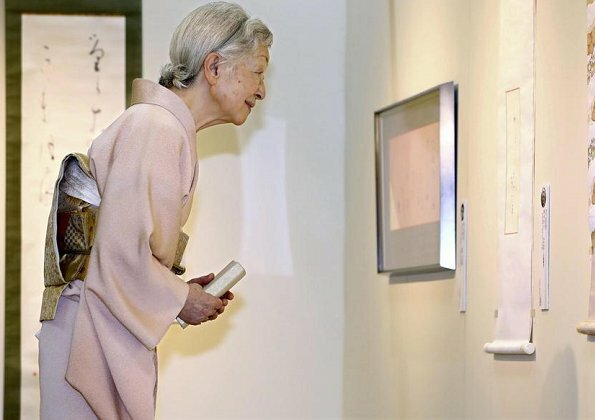 On April 5, 2019, Empress Michiko visited the 50th exhibition of 100 Contemporary Female Calligraphers, held at Takashimaya Nihonbashi department store in Chuo, Tokyo. This year's exhibition includes 145 works. 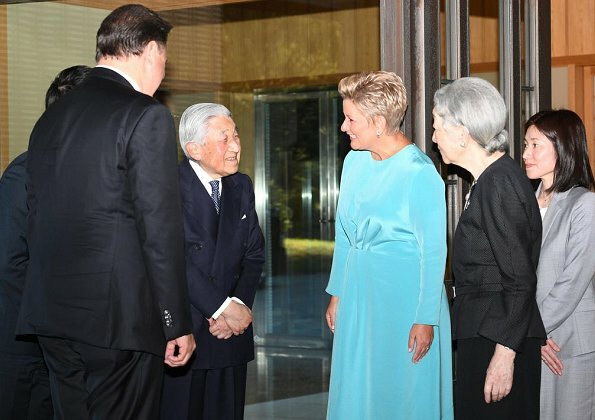 Empress Michiko literally reeks of restrained elegance. There such a quietness to her clothes, fabulously made and beautiful really. I’ll miss as the empress consort. 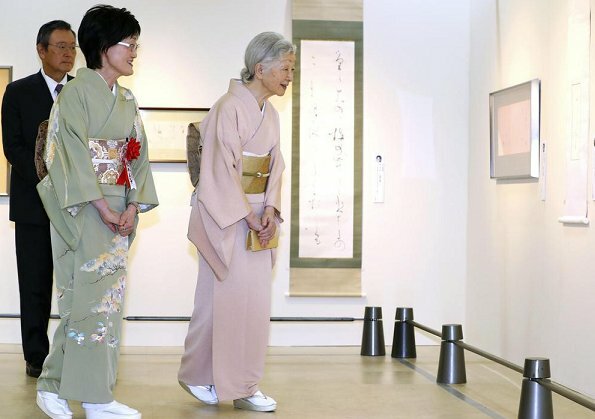 Her daughter-in-law Masako is also very elegant with an added sense of independent smartness. Elegant and graceful as ever. What a beautiful couple, pic 7 is my favourite. In near future women will realize that they are human too. First Lady Lorena Castillo of Panama looks very good too. Beautiful color of the dress.